A cruise, on its own merits — and without any ports of call — can be a romantic vacation choice. But coupled with the right destination, a cruise can be so much more; it can be a romantic adventure to last a lifetime. Whether you’re celebrating multiple decades of marriage or just setting out for the first time with that someone special, here are five of our favorite romantic cruise destinations. [/media-credit] The idyllic paradise that is Bequia, Saint Vincent & the Grenadines. Sure, it’s totally clichéd, but the fact remains that the Caribbean is one of the destinations many of us will think about when we hear the word “romance.” With its multitude of warm sandy beaches and impossibly blue waters, the Caribbean remains a romantic cruise destination that’s close at hand for North Americans. But to truly have a romantic experience – the kind they show in movies – you have to go off the beaten path. Skip the itineraries that call on St. Thomas and head for St. Georges, Grenada instead. 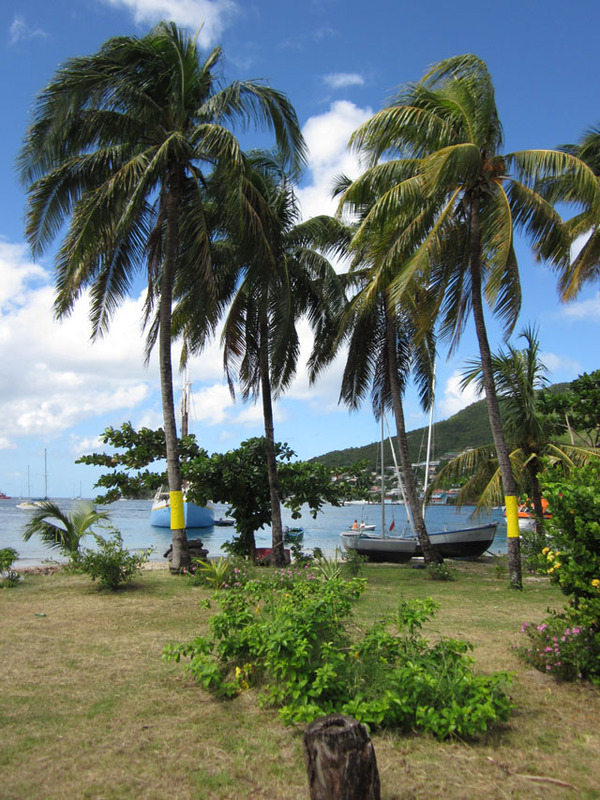 Visit the out-of-the-way island of Bequia, in Saint Vincent and the Grenadines. Or choose to swim among the pink sandy beaches of Barbados. 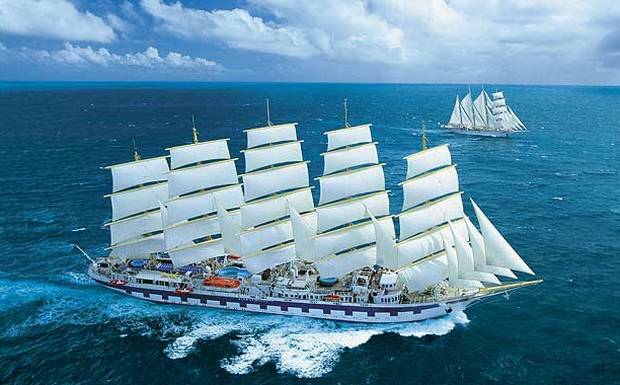 [/media-credit] Why not go sailing through the Caribbean with Star Clippers? Another way to enhance the romance factor of your Caribbean cruise: Pick a small ship, a luxury ship, or a sailing ship operated by Star Clippers or Windstar Cruises. 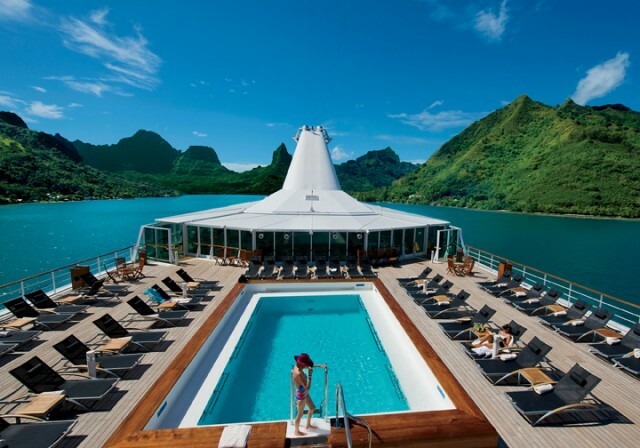 [/media-credit] The spacious pool deck of the Paul Gauguin is perfect for soaking in the Tahitian sun. Next up, Tahiti and the South Pacific. Companies like Paul Gauguin operate here year-round, meaning you don’t need to wait for the weather to turn cold back home to plan your island paradise getaway. So what makes Tahiti and the South Pacific so special for cruise passengers? It’s less overrun by dozens of cruise ships every single week. The South Pacific also has a certain exotic cache to it: Many of us have been to the Caribbean before, but few have been to the South Pacific. Heck, it’s not unlikely that half of your friends will have to look it up to find its location on the map – and that, in and of itself, makes it romantic. You may not be the first couple to visit French Polynesia, but you’ll come away feeling like it is a destination created just for the two of you. [/media-credit] Seabourn Sojourn anchored in Amalfi. If there’s one cruise destination that oozes romance, it’s the Mediterranean. Picture drinking wine in St. Mark’s Square in Venice, or wandering the historic streets of Valetta, Malta; savoring souvlaki on the Plaka in Athens; touring the Coliseum in Rome; or sitting on the Spanish Steps. The Mediterranean is filled with romantic itineraries, and you can’t go wrong with any of them. As a cruise destination, the Med presents an alluring mix of history, warm weather, intoxicating cultures, great food, excellent wines, and deep-blue seas littered with sandy beaches. It’s the perfect place to create your very own Roman Holiday. 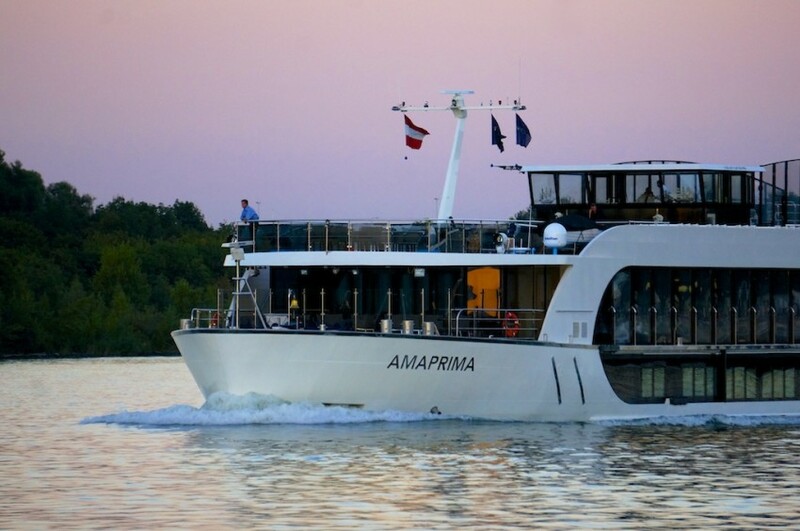 [/media-credit] AmaPrima under a pink dusk sky on the Danube, approaching Vienna. Small towns and gorgeous scenery slowly crawls past as your river cruise ship makes its way along the Danube, stopping at some of Europe’s most culturally important cities and towns. There’s Vienna, with its famous Ringstrasse and plethora of museums and attractions, or the quaint charm of Regensburg. It’s the slow, relaxed pace of river cruising that makes it so romantic. Pair that with excellent food and local wines, and you’ve got the recipe for a very special occasion indeed. For something different, we recommend sailing during the month of December, when Europe’s cozy and romantic Christmas Markets are in full swing. 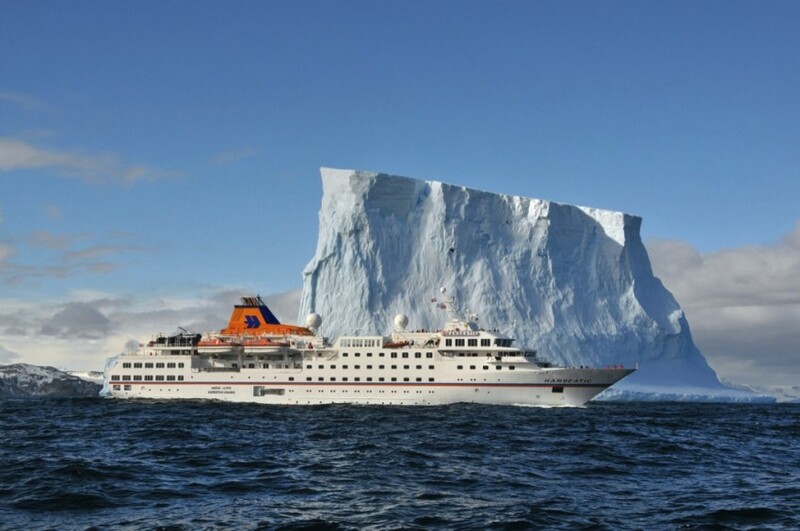 [/media-credit] Hapag-Lloyd Cruises’ 5-star expedition vessel HANSEATIC cruises both the Arctic and Antarctica. Yes, you read that right: Antarctica, with its moody skies, snow-capped peaks and hoards of penguins wandering about, can be quite romantic. After all, colder climates can be perfect for cuddling up. Antarctica is an amazing, life-altering cruise destination. 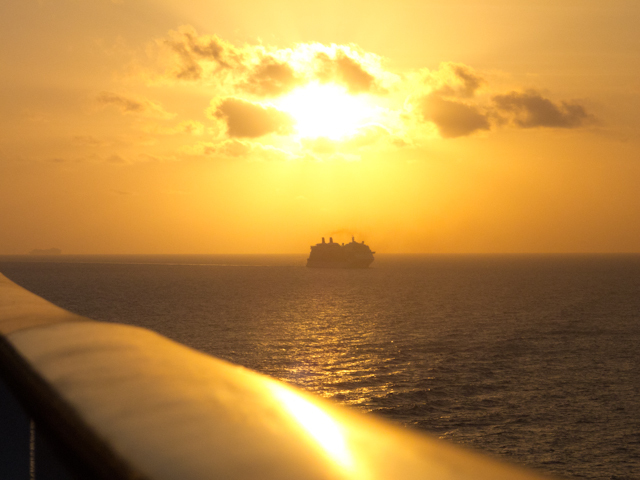 What better way to see this rarest of cruise destinations than with someone you love?